I'm sitting here, typing up this year-in-review post, and desperately trying to make sense of the idea of another year over. I feel this way every December. Where did the time go? What did I even accomplish this year? How did the kids grow up so much in a year?? But I'm a firm believer in looking-back-before-moving-forward. Click on any of the photo captions to be whisked away to the original posts. 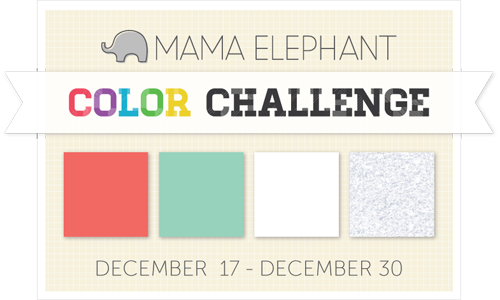 I wanted to enter the mama elephant challenge, which ends tomorrow. It's the first time I ink up these two sets: "midnight letters" and "on target." Hope you like it! There's still time, if you want to submit an entry of your own - they're offering a free digi stamp if you don't already own their stamps. As we sail towards the year's end, and start thinking about our new year's resolutions (getinshape*cough*getinshape), some of us over at Clear & Simple are showcasing the limited edition JOY stamp set and offering our own crafty resolutions for 2013. I've created a little something for the midnight ring-in. An embellished bottle of bubbly, (actually, sparkling apple juice here, since we'll be serving it to the kids) a little confetti pouch, and re-worked party blowers. 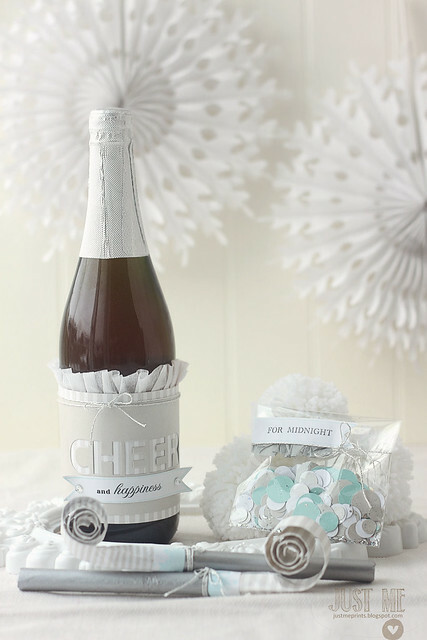 To create the embellished "wine" bottle, I cut into a sheet of silver cardstock to spell the word "cheer" (yes, a play on the usual glass-clinking "cheers") using the uppercase alpha dies, and backed it with a piece of very subtly striped patterned paper. For a bit of extra frill, I adhered a strip of double-stick tape to the back of the patterned paper and gathered a length of white crepe paper, so that it looked ruffled from the front. A bit more double-stick tape was used to adhere it all to the bottle. To bring in a bit of blue to my bottle, I stamped a favor flag die-cut with the coordinating frame image, and stamped the "and happiness" sentiment from the limited edition "JOY" stamp set. Some blingy rhinestones and silver cord finished it off. For the midnight toss (doesn't everyone want confetti at midnight? uh, maybe not the parent who'll have to clean it up, hee, but we'll allow it anyway...) I cut circles of various sizes from "my style blueprint," "silver," and "a blanc check" cardstocks. I threw in a little coarse silver glitter at the end. I knew the package would be ripped into, so no need to make a fancy topper. A little creative inking (I nabbed the "for" and "midnight" from 2 different sentiments in the favor flags set) gave me a custom sentiment, and I framed it in blue to match the bottle label. 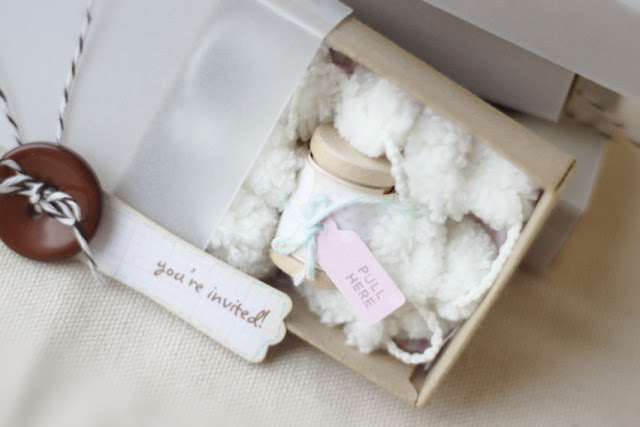 A little ruffling of silver tissue paper and silver cord also tied back into the embellished bottle. step 1: cut a length of silver tissue paper to size and wrap around the blower base. adhere with double-stick tape. step 3: secure the base to the blower. I stamped a strip of white adhesive paper with a starry motif from the "sweet dreams" set and used that to adhere the two together. step 4: try it out - works like the real thing! We're in the home-stretch before Christmas, and it's so sad - the only presents wrapped and under the tree are some brown paper bags that the kids decorated for "mommy" and "daddy." They're so excited to have put together a present for each of us, it's adorable! Time for this mommy to get to work so they could see some presents of their own under there! And the cookies - hee hee. I had so much fun playing around with them! Marlyn did include some bigger circle cookies, but it made me laugh when I lined up 3 the same size :) She thought of everything: eyes, carrot noses, buttons, different hats, there were even a few ties! I know I keep posting things that Marlyn creates, and you must think I'm slightly obsessed. It's true. 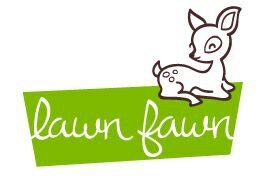 And now, we're bringing the lawn fawn love. Marlyn created the cookies based on lawn fawn's "sweet christmas" set. I'll be back tomorrow, sharing another paper+cookie teacher gift. In the meantime, if you're keen to know more about me, Wida has a whole post dedicated to me on her blog today. Pinch me! I was interviewed for her next installment of "diagnosis design" - which I think is such a great idea! I'm honored to be a featured artist. There are even pictures of my craft room (gasp!) and very kind testimonials. I have an adorable baby card on the app today, using the new limited edition "joy" set from CSS. It's already being enjoyed by a set of new parents who look so comfortable in their mommy/daddy roles. sigh. I was a trainwreck when I had Sofia. a nervous/don't-really-know-what-I'm-doing wreck. How do some people manage to look like new-parenthood isn't a big deal at all? hee hee. If you're looking for something fun to do with the kids in the days leading up to Christmas, I thought I'd share the fantastic gift that Marlyn (of Montreal Confections) dropped off this weekend. Sorry for the not-so-great photos, but I just snapped a few while the kids were tearing into the box of cookies, and the set of edible food markers that were gifted to them as well. They each colored (and gleefully ate!) a few cookies. It is such a cool holiday present! Thomas didn't waste too much time, and his smile is more of a "ok, mom, can I just go ahead and eat it already?" Thanks, Marlyn! We loved it! 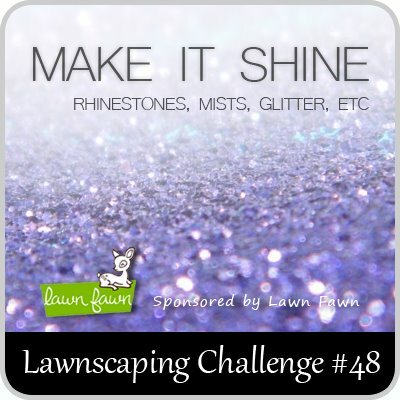 It's our last lawnscaping challenge of the year! We're asking you to break out the glitter, the rhinestones, the mists - anything you can think of to give shine to your end-of-year project. I tried to give my whole tag a bit of an ethereal feel, with not only the glitter strip at the bottom of the tag, but the vellum snowflake that sits behind, and the white-heat-embossed polar bear (from "critters in the snow"). I stamped snowflakes around him, and ended off with a dark grey sentiment to match his cute polar bear nose. On another, more meaningful note, my friend Amber is doing a wonderful thing for the grieving kids of Newtown, Connecticut. I have 2 school-aged children myself, and have wept and prayed for the parents whose arms will feel extra empty this holiday season, and for the kids who have been scarred by this tragedy. Being crafty herself, Amber is seeking to put together art kits to aid in the healing of these children. If you're an international, like I am, you might just want to donate some money instead of sending over the goods she's listed. There's a button for that on her blog. If you think this is a great idea, like I do, I hope you'll share Amber's post. Thank you, and have a great Monday! I created the "noel" mat with my cameo silhouette, and stamped the Precious Remembrance ornament at the bottom. The ornament hangs on by a string (I used the wavy snowdrift image from lawn fawn's "let it snow") which creates some visual interest going up the card. I didn't want the wavy line interfering with my "n-o-e-l" letters, so I masked them off before stamping. After coloring parts of the ornaments in shades of brown and red, I gave the whole mat a bit of texture with pti's canvas impression plate. A last little detail was to add glossy accents on the ornament stars. It's such a fun way to add some extra wow without being too fussy. I'm on my last leg of Christmas cards, people. Have you all sent yours out already? It's a simple card, but if you're still making cards this late in the game, they'd better be fairly easy to put together, right? 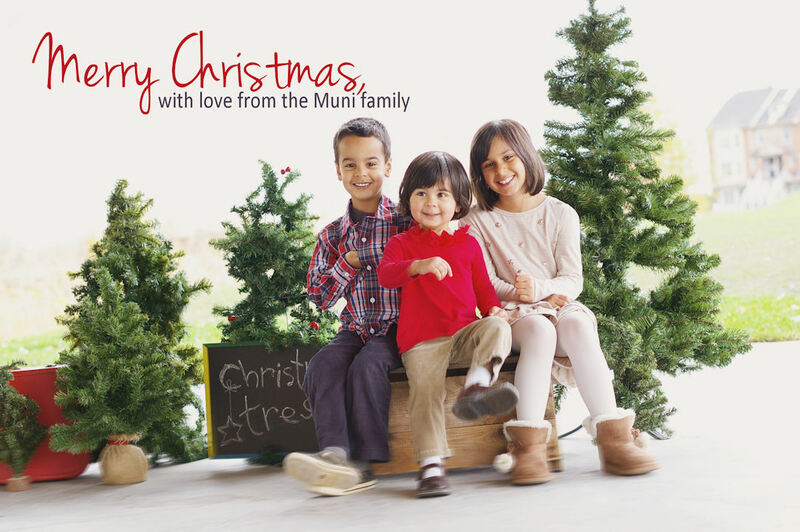 I'm sharing another simple Christmas card tomorrow, and then that's it for Christmas cards! 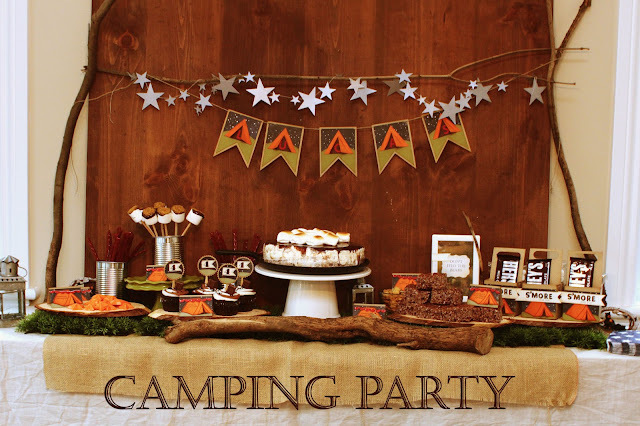 We'll be moving into the gift-packaging and off-blog-baking portions of holiday craziness. ps. someone pointed out to me that the "pin it" button hasn't been working. I think I fixed it, but if there are still issues, please let me know! We don't have a Christmas tree up yet. And, this is huge, considering we usually have it up the day after American Thanksgiving. But, aren't the new crown moldings so pretty? In case anyone would like to know, the wall color is Benjamin Moore's "edgecomb gray" - and is a bit less taupe in real life. 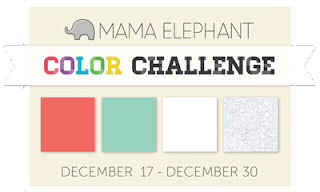 We've also "crowned" and painted our kitchen and little powder room, in BM's "boulevard" - a deeper, and more mauvy grey. Very pretty. The chalkboard wall is here to stay. And semi-dressed for Christmas. The kids were thrilled to come home from school and find the advent calendar moved to the kitchen. Days 1 through 12 were opened upstairs in our bedroom. When the busy-ness of the holidays starts to set in, CASE'ing (for you non-crafties, it stands for "copy and selectively edit") a favorite project can be the way to kick-start some creativity, without having to start from scratch. We're refreshing our favorite oldies, using the new limited edition Joy set. Since we're personally in the middle of some home renovations (which is upsetting our kids to no end, because they're convinced EVERYONE else has their Christmas tree up already), this group project was right up my alley. I created a strawberry set, featuring a card with matching envelope, and a gift box... with a gift inside. I used the strawberry appliqué die and, instead of making a strawberry shaped card like I've done in the past, offset it onto a white card base for a bit of a different look. 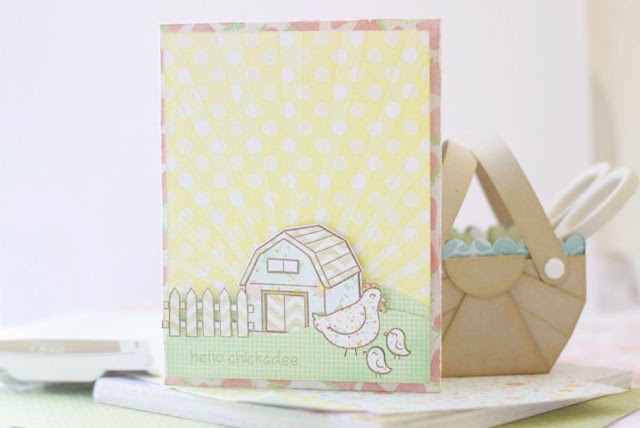 The "welcome baby" sentiment (from "trendy tags") was stamped onto a favor flag die-cut, and stripes (from "create a plaid") were added above and below to complement the custom-stamped envelope liner. The party favor 4 box was stamped with the same stripes as the envelope liner, and I added a tiny strawberry to carry the theme (from "perfect harvest"). From the new "Joy" set, I stamped the "bundle of joy" sentiment. I used a little Wplus9 sentiment (from their little "dear santa" set,) and stamped it onto a notebook page die-cut... and, my favorite part of the card? The bossy Joscie flair I ordered especially for the class :) Isn't it adorable? holidays tags... in 10 minutes! I'm thrilled to be joining the fun over at Pretty Pink Posh for a special edition of the 10 minutes craft dash! There is a great prize up for grabs: check out Pretty Pink Posh for all of the details. Once the masks are in place, grab a sponge and some juicy red ink (I used Fresh Ink, but you could use Distress Ink) and start building up the red color. I love that this gave me all kinds of shadows and variations of color. I took my time here - this step took me about 3 minutes. Click on the image to be whisked away to the app store.